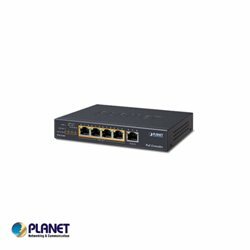 PLANET POE-E304 is a 1-port 60W Ultra PoE to 4-port 802.3af/at Gigabit PoE Extender designed especially for point to multipoint PoE applications. 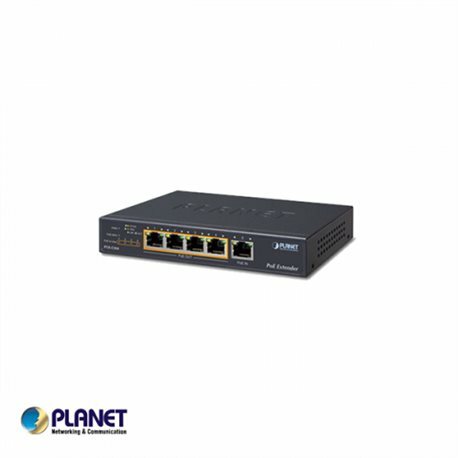 The POE-E304 can obtain a maximum of 60-watt PoE power from Ultra PoE input port and supplies a maximum of 55-watt PoE power budget for four PoE output ports, extending both the Gigabit Ethernet Data and IEEE 802.3at/802.3af Power over Ethernet over the standard 100m (328 ft.) Cat. 5/5e/6 UTP cable to up to two 200m powered devices at the same time. The POE-E304 is quite easy to be installed by simple plug and play. It is used between a power source equipment (PSE) and a powered device (PD). The POE-E304 injects power to the PD without affecting the data transmission performance. 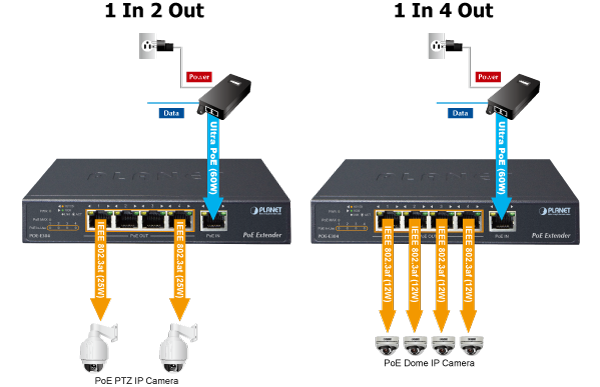 The POE-E304 offers a cost-effective and quick solution to doubling the standard range of PoE from 100 to 200 meters. 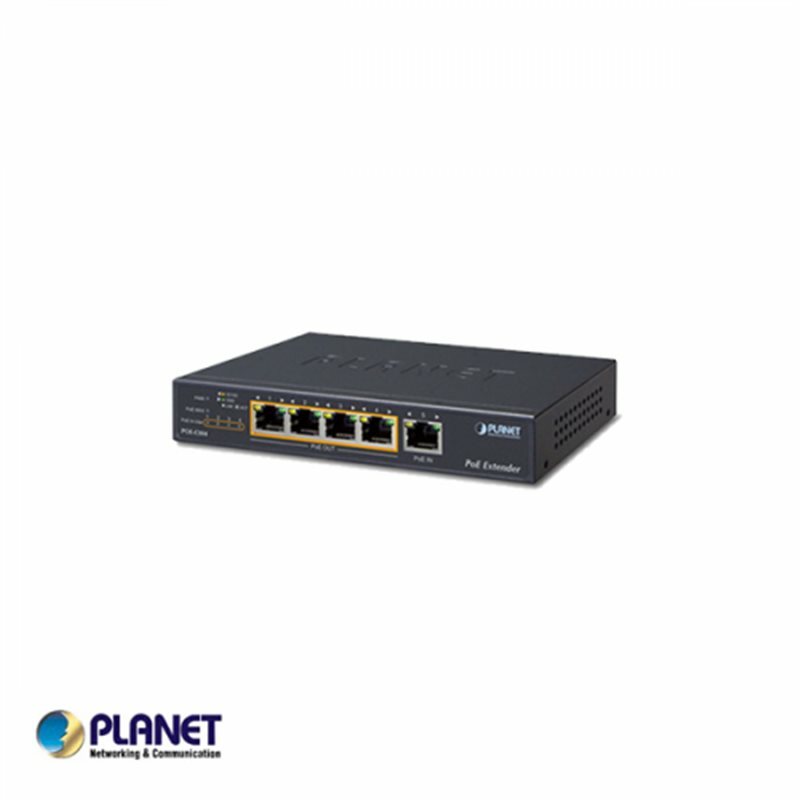 The POE-304 is designed in a compact box containing five RJ45 ports, of which one "PoE IN" port functions as PoE (Data and Power) input and the other four "PoE OUT" ports function as PoE output. The "PoE OUT" port is also the power injector that transmits DC voltage over the Cat5/5e/6 cable and transfers data and power simultaneously between the PSE and PD.